"An addictive word game under the guise of something much more sinister!" 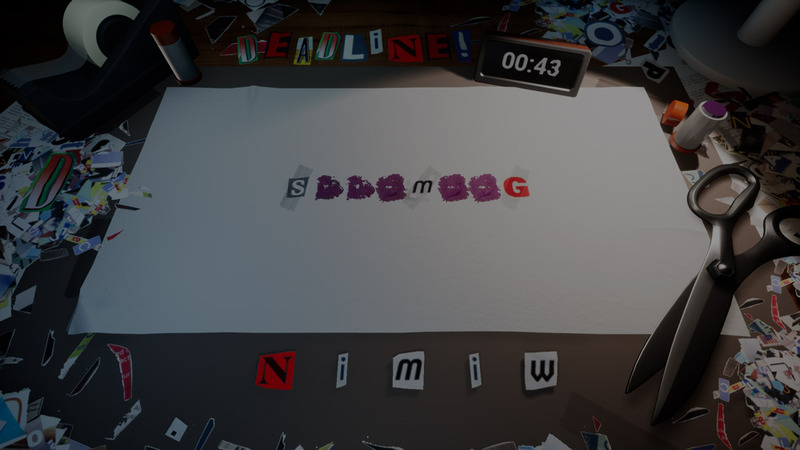 Deadline: Ransom Note Agency is a simple yet fun game where you play as an employee of a company who professionally make ransom notes for criminals, given a few letters at the start of each round you must work out which word to correctly spell and stick the letters in the right order. 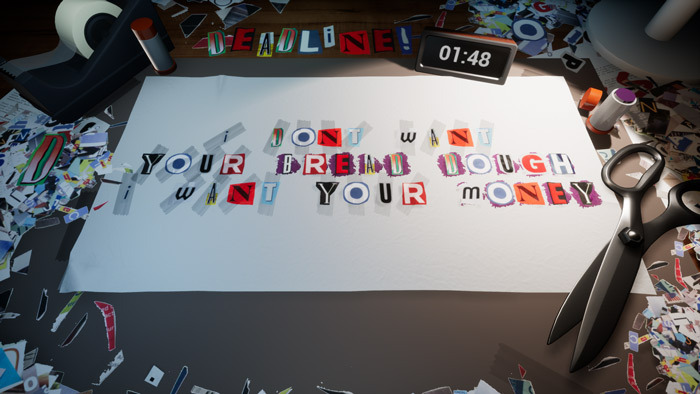 Although the backdrop is one of criminality and a feeling of doing something a little bit murky as you piece together these threatening (and often funny) letters but really this is a word game or more specifically anagram puzzles to be solved and whilst it is unlikely to keep adrenaline junkies entertained those of you who enjoy word play and problem solving should enjoy this greatly. 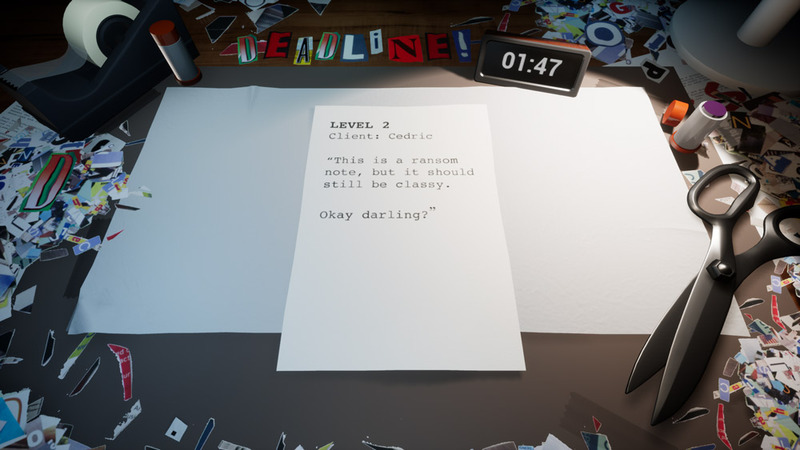 Developed for a recent game jam Deadline: Ransom Note Agency takes a fairly straight forward and simple concept and turns it in to a fun game, some of the voice acting in the game is also a lot of fun but it’s probably not a game you will get a huge amount of satisfaction from as it can only really be played through once and to play it again you would already know the answers to many of the blank words that need to be filled in, but it’s definitely worth playing through at least once especially if you enjoy word games. You can download Deadline: Ransom Note Agency here for free.